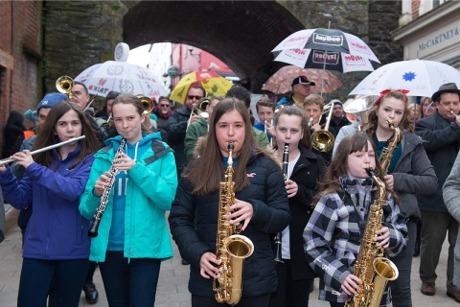 DERRY'S tills were busy over the weekend as an estimated 40,000 people attended the City of Derry Jazz Festival. “Once again we’ve seen upwards of 40,000 people out and about in the city over the weekend and hotel occupancy was great this year – there wasn’t a bed to be had on Saturday night with accommodation at full capacity," said a delighted Mayor, Cllr Elisha McCallion. "The event has a major impact on the local economy and venues right across the city have benefitted from a big jump in business over recent days. It’s events like these which continue to boost the city’s reputation as a fantastic visitor destination.” The city's events organiser Andrea Campbell said a whole year is spent planning the festival.